An ode to virtualization on the Mac — Ashraf — product designer with optimism. Once in a blue moon, I get called to duty to repair an ancient Windows computer. You know, the one that your family member or uncle has critical Word documents with that one password file they can't lose? Of course, they didn't back anything up. And the hard drive platter is decaying, and all those corruption errors are manifesting now. Oh, and they need their files because they have a really important thing the next day so you have to come over ASAP because you feel bad for their predicament? Anyways, it's been years since I've had used Windows on my desktop. And it's been several years since I've had a CPU tower to hot swap hard drives and flash drives. However, with virtualization, I can still run Windows in all its glory. Virtualization has come so far. My choice of software, VMWare Fusion, has solid performance, even with other heavy apps loaded. And with support for direct, hardware access to my ports is icing on the cake. Legacy Windows devices or flash drives can be connected, booted from, and manipulated as if you installed Windows via Bootcamp. 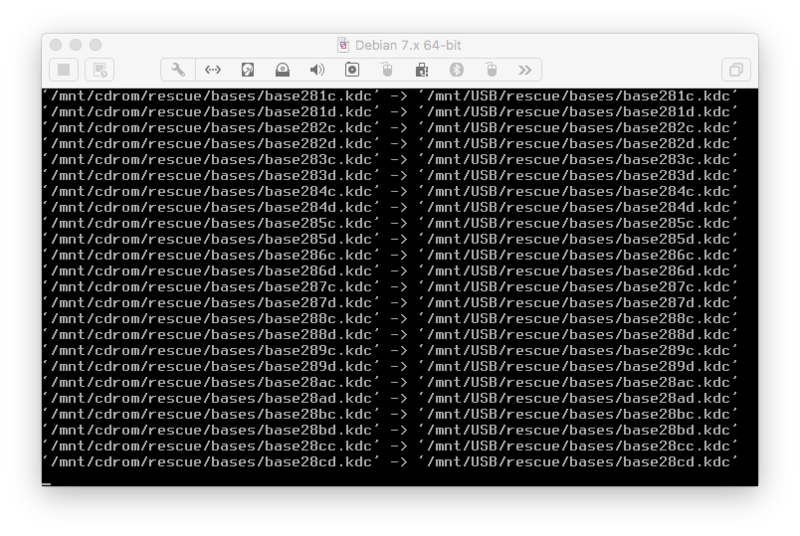 Making that bootable flash drive. The title of the OS was the default for a Linux template. So thank you virtualization gurus for making it that much easier to fix my uncle's computer and get those files for him. Now if only Apple would amend their EULA to allow native device drivers in virtualization...but I've gotta keep dreaming!